It has been almost twenty years since families of the Genesee Valley began to relocate in Delaware, Canada West. We came here to escape the tyranny of certain segments of American society, and to pursue our lives in peace in this bountiful land. At this we succeeded till 1812. Living at this most beautiful crossroads, we were too often at the centre of hostilities. Armies, British and American with displaced bands of natives passed through our village. They were often in desperate need of food. Our livestock and crops and equipment were taken, buildings destroyed, and fence rails burned as fuel. Our homes and businesses were plundered and as a final blow our mills were burned by the enemy. Some of our very neighbours became traitors, leading marauders into the heart of our country. Women and children were terrorized as the men were away serving in the militia. Express riders carrying important dispatches often dashed through the village adding to the unease we felt. We housed and fed soldiers and their mounts even though our stocks were greatly reduced. Wounded were cared for in our village, and the dead buried in our cemetery . 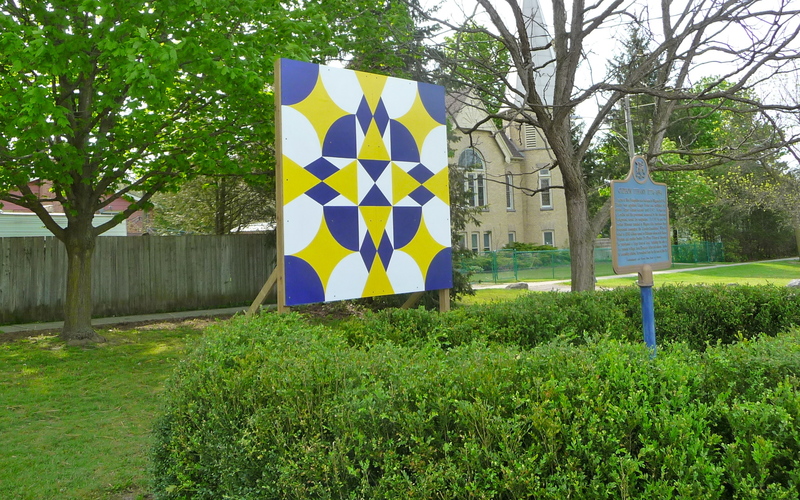 Posted on June 24, 2012, in Longwoods Barn Quilt Trail, War of 1812 and tagged Delaware. Bookmark the permalink. Leave a comment.